Plymouth’s beautiful new Memorial Garden, located at the Community Center, was dedicated at a special ceremony on Sunday, June 11, 2017. 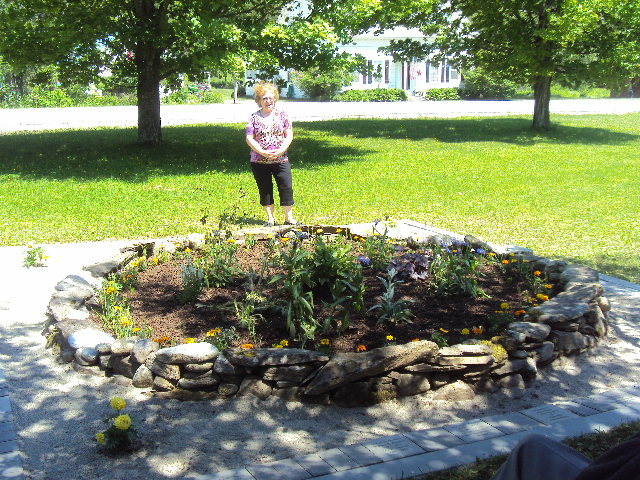 The Garden was created by Midge and Bruce Tucker, with help from town volunteers, in honor of their long-time friend and neighbor Eliza (Liza) Ward. The Memorial Garden has space for 94 memorial bricks. Currently 24 are in place. You can purchase bricks in memory of your loved ones by contacting Midge Tucker at midgetucker@gmail.com or 802-672-3086. The cost is $25.50 per brick, and includes up to 6 lines of text, with 20 characters per line (including spaces). This entry was posted in Community News, Plymouth People and tagged Plymouth Community Center, Plymouth Community Events. Bookmark the permalink.